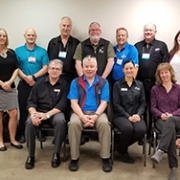 PIJAC Canada is pleased to introduce two new members to the PIJAC Canada Board of Directors. 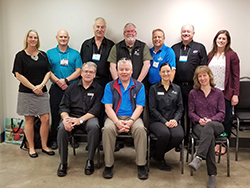 At the PIJAC Canada Annual General Meeting, hosted at the National Pet Industry Trade Show, September 17th, Emily Corey and Sara Côté were voted in as our newest directors. As the voice of Canada’s pet industry, it is critical to have directors who are both industry savvy and knowledgeable about the well-being of animals and pet families. Emily and Sara fit the role perfectly with their extensive experience in the pet sector and engagement in animal welfare. 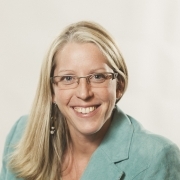 Emily Corey is the current VP of Research & Development at Corey Nutrition Company, a family-owned business based in Fredericton, New Brunswick. Following her fathers’ footsteps, Emily has immersed herself in the animal nutrition world. After completing her undergrad degree and obtaining a bachelors of science, she has continued her studies in the animal behaviour and physiology. Currently completing a PhD, Emily has been a leading face of pet food for Corey Nutrition and will continue to grow the company further in its legacy. Sara practically grew up in the pet store that her parents owned. With her father’s encouragement, she started working and serving customers at the age of 10. It was in 2000 that she returned to Sherbrooke, QC to improve training and education materials for employees and clients of La Grande Ménagerie, her family’s business. Sara took over the family pet store and has been managing it for the past 11 years. Alongside her brother, Olivier, she acquired L’Animatout about 7 years ago. The desire to improve knowledge and the human-animal relationship is very important to Sara. 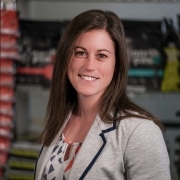 “My goal of investing in PIJAC Canada is to improve the protocols, care, environmental conditions, education and empowerment in pet stores across Canada.” As an experienced pet store owner, Sara has an extensive network in the industry and can bring attention to pressing issues. As a board member at PIJAC Canada, she hopes to see various players in the industry unite for important causes. We welcome them both to the team and look forward to benefiting from their expertise. Back To School Pet Care Training Program! What is Habitattitude?